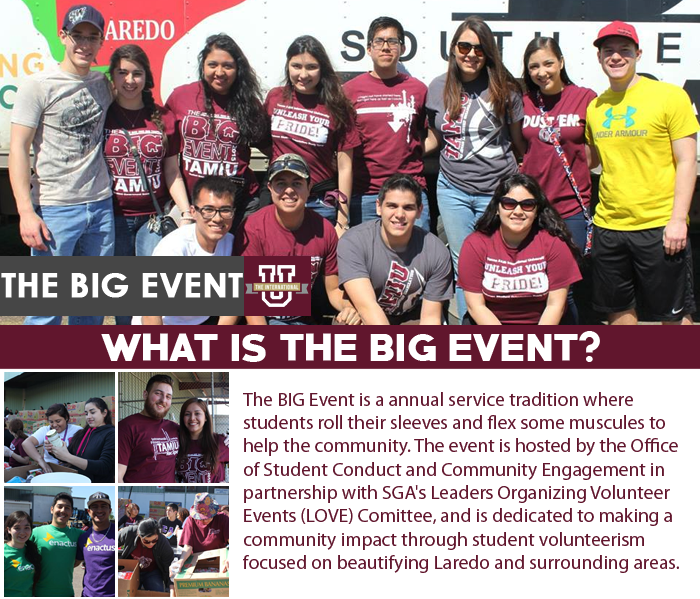 TAMIU will be having their annual community initiative volunteer event called The Big Event. 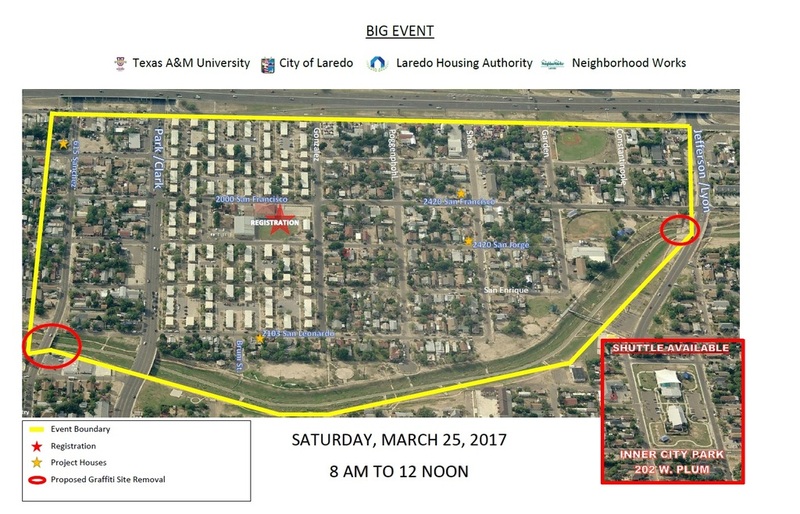 It will be held Saturday, March 25 at 8am. 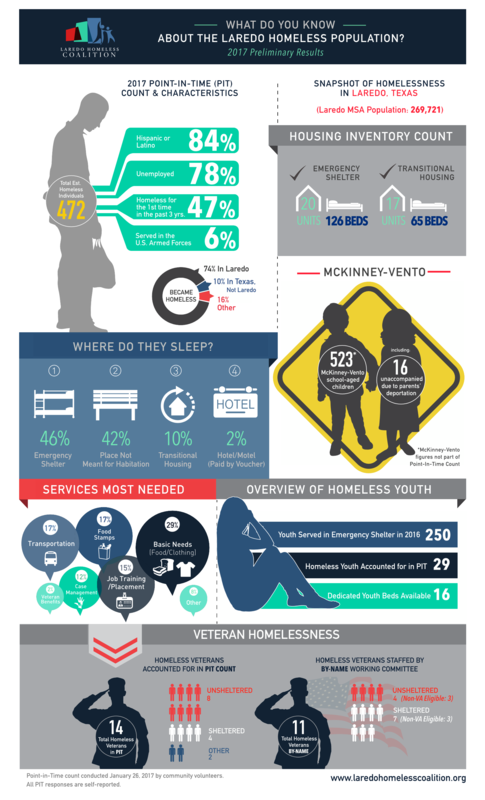 Below is a map of the event area and important locations.